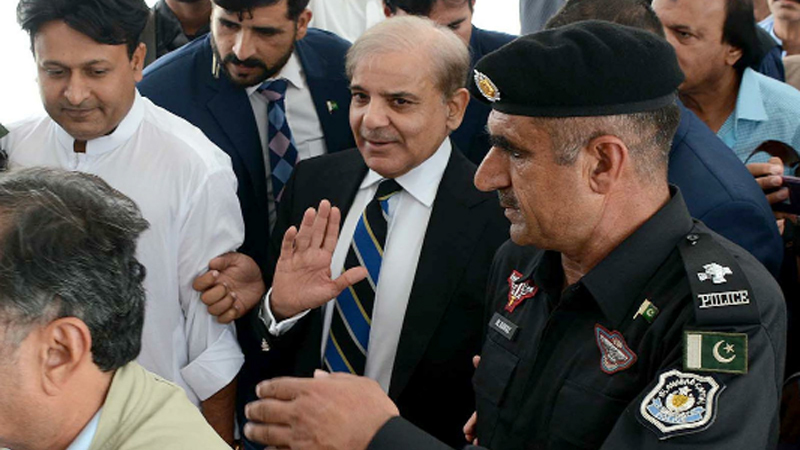 LAHORE: Former chief minister Punjab and opposition leader, Shahbaz Sharif appeared before a joint investigation team (JIT) investigating the Model Town incident on Monday. The Home Department of Punjab formed the Joint Investigation Team (JIT) earlier this year to restart investigation from scratch. Shahbaz Sharif was summoned today to give his statement in this case. The investigation team is headed by Inspector General (IG) Motorways AD Khawaja, and comprises Lt Colonel Irfan Mirza from Military Intelligence (MI) and Lt Colonel Mohammad Attique-uz-Zaman from the Inter-Services Intelligence (ISI). Others including Qamar Raza, deputy inspector general (DIG) Police Headquarters Gilgit-Baltistan, Mohammad Ahmed Kamal, deputy director general of Intelligence Bureau (IB) are also part of the team. On June 17, 2014 at least 14 workers of Pakistan Awami Tehreek (PAT) were killed and 100 others injured in clashes with Police in Model Town, Lahore. The report for the Model Town tragedy, compiled after a judicial inquiry, was made public in December 2017 by the then-government in Punjab, on an order from Lahore High Court. According to the report, drafted by Justice (retd) Baqir Najfi-led commission, the 2014 Judicial commission held the government responsible for the ‘most unfortunate incident’ in the country’s history, saying that the police not only acted on government’s orders causing the bloodshed but also tried to cover up the facts on who gave the orders to open fire on sit-in protestors.